The Houston Astros are on the verge of history after an unbelievable Game 5, where the small-market team outlasted the Los Angeles Dodgers in a 13-12 ten-innings affair. 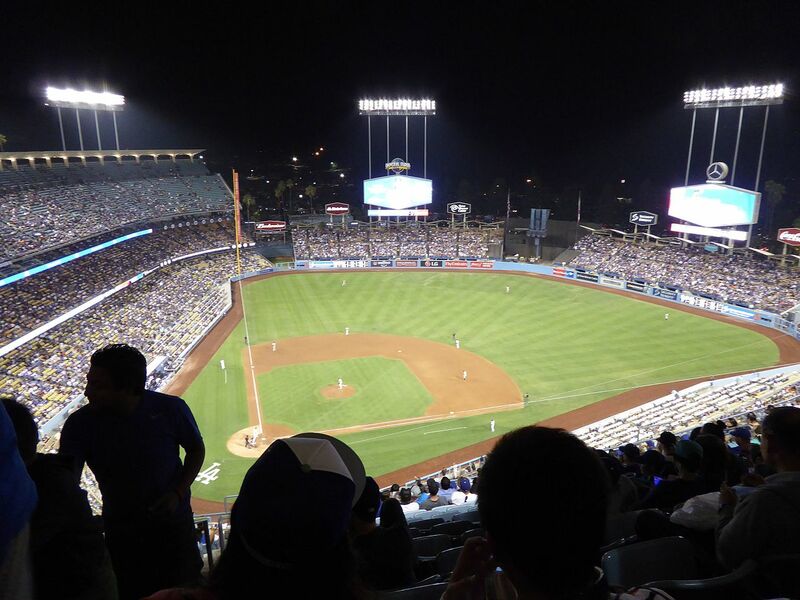 Going into Game 6 tonight in Los Angeles, the Astros are up 3-2 in the Series and could win it all at Dodger Stadium in the Chavez Ravine. Game 5 was an instant all-time great, with fans and pundits already comparing it to the ridiculous 2014 American League Wild Card game between the Kansas City Royals and Oakland Athletics, as well as last year’s iconic World Series Game 7 when the Chicago Cubs defeated the Cleveland Indians to clinch their first title since 1908. Game 5 was akin to both legendary games as there were multiple jaw dropping lead changes and a record-setting 7 home runs. Dodgers ace Clayton Kershaw was on the mound Sunday night in Houston and, despite letting 4 runs in, he looked solid during his tenure. The Astros rocked two separate 3-run homers to come from behind. Through 5 games of this year’s Fall Classic, the Dodgers and Astros have already combined for 22 home runs, breaking the previous World Series record of 21 home runs set in 2002. That Series was a California derby between the San Francisco Giants and the Dodgers’ crosstown rivals, the Los Angeles Angels. This ‘David vs. Goliath’ battle comes at an intriguing time for both ball clubs, as the Dodgers desperately need silverware to validate their massive $242 million payroll. The Dodgers have the largest roster budget in Major League Baseball by far, outspending the New York Yankees by more than $40 million. The Houston Astros have just the 18th largest payroll at $124 million, spending about half as much as their World Series opponents. The Texas ball club has built a formidable force through incredible player scouting and development, and assembling a threatening pitching staff with the addition of former Cy Young winner Justin Verlander. The city of Houston and surrounding communities are desperate for a victory tonight as they are still battling the devastating effects of Hurricane Harvey. This shining moment for the city comes ironically at possibly the darkest moment the people of Houston have had to endure in their lives. This year’s slugfest didn’t start in the World Series, however. During the regular season, the American and National leagues combined to blast the most home-runs in the history of baseball. While Major League Baseball and the fans are ecstatic about the increase in eye-catching, entertaining baseball, there is a dark scandal brewing behind the scenes. It has been reported from multiple sources that pitchers and coaches from both teams are expressing concerns about the altering of baseballs. Justin Verlander and Yu Darvish have both stated the balls are “slicker”, via Sports Illustrated and the New York Times. Major League Baseball has consistently denied the allegations, but this isn’t the first time players and fans have made noise about potentially “juiced” World Series balls. It’s quite an interesting accusation and development, especially in this years World Series which has been disguised as a Home Run Derby. If the balls are indeed altered to give batters an advantage, this theory would be congruent with the MLB’s repeated strategies and rule changes to make the game more entertaining. This World Series has delivered everything a baseball fan could possibly want, and more. The Houston Astros are one win away from their first-ever World Series title, but it feels like there’s no way it won’t go seven games. It seems impossible for Game 6 and a potential Game 7 to surpass the outrageously exciting Game’s 2 and 5, but it’s unlikely to go as planned for either side. From “juiced” baseballs and an absolute slugfest, to the plight of Houston as a team and a city, the next couple of days will prove to be historic for the game of baseball.